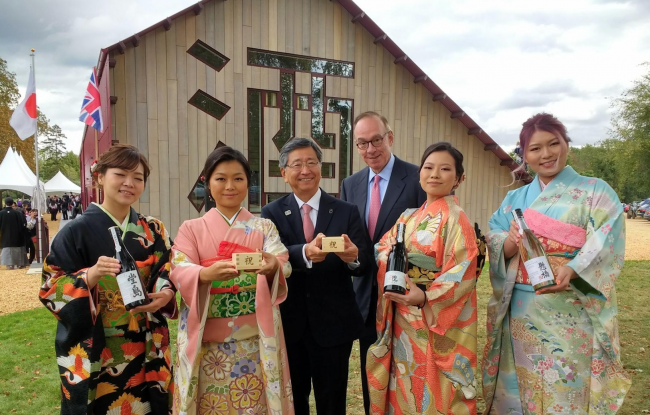 The UK’s flourishing food and drink sector is set to receive another boost as the first Japanese-owned UK sake brewery opens its doors in Cambridgeshire in early October. Osaka-based Dojima Brewery’s £9m investment is set to create 100 jobs over the next ten years, with 10,000 bottles set to be sold in the first year of production to achieve a turnover of £1m. Dojima – which has over 500 years of brewing history – has acquired a £3.5m premises in the picturesque setting of Fordham Abbey Estate. Thanks to help from the Department for International Trade (DIT), the company were connected with the appropriate networks and advice they needed on how to set up a company in the UK. DIT also put the company in touch with food and drinks specialist Campden BRI, whose water mineralisation expertise will ensure that Dojima have the very best hard water available for making sake. Graham Stuart, Minister for Investment said: “Thanks to the work of my department and its global network of experts in more than 100 countries, British consumers will soon be able to enjoy some of the finest sake the world has to offer, made right on their doorstep. This investment comes shortly after International Trade Secretary Liam Fox’s visit to Japan this summer and takes place as DIT is consulting the public on the UK’s potential accession to the Comprehensive and Progressive Agreement for Trans-Pacific Partnership (CPTPP) – a move that will boost trade with member countries such as Japan.